Telemachus: Could Mr. Alvin Greene of South Carolina Do A Better Job In The U.S. Senate? 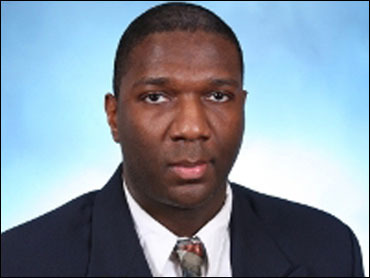 Could Mr. Alvin Greene of South Carolina Do A Better Job In The U.S. Senate? We wonder: Could a total newcomer to politics and everyday citizen such as Mr. Alvin Greene do a good job in Congress? Or rather, could he do a better job than the people who are already there? Mr. Greene, who by all indications, is a legitimate citizen of the United States of America who resides in the great state of South Carolina, and who meets the constitutional requirements of having lived in the US at least 9 years and is now over the age of 30, has as much right to run for the US Senate as any one else does in this country, as long as he is not a convicted felon. He paid his $10,000 filing fee and received 60% of the Democrats voting in the primary to vote for him instead of the other more experienced politicians on the ballot. That sounds like a 'democracy' to us, as messy as they can be sometimes but a free vote of free people in a state. The losing candidates now apparently feel as if their election to the US Senate was ‘stolen’ from them somehow by Mr. Greene. 60%! That is a landslide of biblical proportions in any modern-day American election, ladies and gentlemen! Mr. Greene has suffered his share of insults and demeaning comments from the chattering heads and the powers-that-be from South Carolina to Washington. And he might yet disqualify himself if he is convicted on the obscenity charges leveled against him. Has the national debt exploded over the last decade under leadership from both parties in Washington? Do we have annual budget deficits of over $1.3 trillion staring us in the face...for the rest of our lives? Do we have close to $75 trillion now in unfunded future liabilities to pay for as a result of this Congress and those in the past recklessly passing legislation without any regard to how to pay for it in higher taxes or spending spending cuts elsewhere? Do we have a 'fair and equitable' tax system in America? Are you paying too much in tax each year to Washington...or too little? Do you think the health care 'reform' (sic) bill that Congress passed will save or cost more money? Do you think we have really dealt with our energy dependence on foreign oil imported from the Middle East? Are things generally going in the 'right direction' or the 'wrong direction' in America today? We think that anyone in this nation should be able to do better than that, including you, the reader of this blog....don't you? How could any walking, breathing human being NOT DO BETTER THAN THAT!???? It sure seems as if Congress has done their very darndest best over the past decade to make sure our budget deficits continue to gush like the BP oil well in the Gulf and our national debt explodes at its fastest pace ever since WWII. Congress has assiduously voted to raise spending at every behest and beck-and-call and cut taxes whenever possible without any regard to balancing the budget again. Congress threw the only budget constraint that has ever worked, the PAYGO mechanism, off a speeding truck going over a bridge into the river basin below, never to be seen or used again like it had Kryptonite in it and they were all “Supermen”. In 1816, 2/3's of the 14th Congress did not win re-election to the 15th Congress. The reason? They voted themselves a 'pay raise' to an amount that was higher than almost everyone in the nation at that time: $1500 for each Member; Speaker Henry Clay of Kentucky got $3000 in what became known as 'The Salary Grab'. For some reason, the one issue the voters focused on was the salaries of their elected representatives....just like today whenever a pay raise is considered. It is far easier to get mad about congressional salaries than the complications of international finance and budget deficits, isn't it? We are not as worried about congressional salaries as we are about all of the other things we need to be worried about nowadays like the economy, jobs, the dollar and the debt. We might even come out trillions of dollars ahead in the long-run if we paid our representatives $1 million apiece....but ONLY after they had put their voting cards in the "No!" slot every once in awhile and balanced the budget again one day. Maybe even a common, everyday person like Mr. Greene would cut spending for that kind of money.